When you get a divorce in Oklahoma, you might think that your divorce decree signed by the judge is the final say regarding certain major issues. While this is true to a point, you do have the right to ask for changes, particularly when it involves parenting plans. Present agreement is not in the child’s best interests. Oklahoma, like many states, applies a “best interests of the child” standard when it determines child custody and visitation issues. If a current agreement no longer fits this standard, the court will likely consider a modification. Present agreement is repeatedly violated by your ex. The court will want to know if a parent is not holding up their end of a parenting plan, either financially or by not cooperating with a visitation or custody schedule. In these cases, they will consider a request for modification. One parent is relocating. Oklahoma courts prefer to keep a child in their established environment. If a parent is considering relocating either out of state or a significant distance, this is grounds to ask for modifications of parenting plans. The child is in danger. If a parent can show that a child is not safe or could be in danger because of the current agreement, the court will make a change. This includes a child being in a home where there is neglect, physical or psychological abuse, or domestic violence. If you believe that you have sufficient grounds to request parenting plan modifications, you should discuss your situation with a qualified and experienced Oklahoma family law attorney. This can be a complex process that you don’t want to leave to chance. You will first need to file a Motion to Modify, which presents the reasons for requesting the changes to your plan. The court will schedule a hearing, where both you and your ex will attend and can present testimony and evidence. The judge will make their decision after reviewing all of the presented materials. You will be granted a modification if there is sufficient evidence proving that it is warranted and in the best interests of the child. This will happen whether or not both parents agree to the changes. When you get divorced, you have the opportunity to negotiate some major agreements with your spouse. 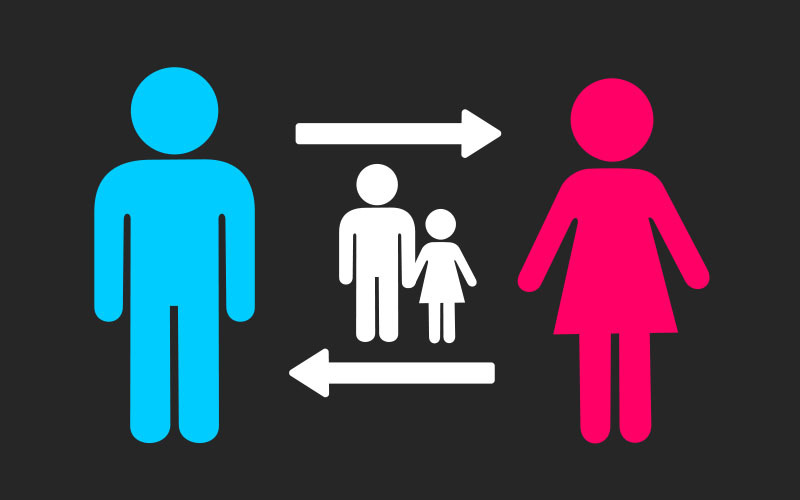 If you can agree on such things as asset division, custody, visitation, and support, you could be eligible for a simplified divorce. MicroDivorce offers an affordable, easy, and quick service for uncontested divorce in Oklahoma. Find out if you qualify.